This group meets monthly to discuss racial issues in American society. Everyone is welcome. 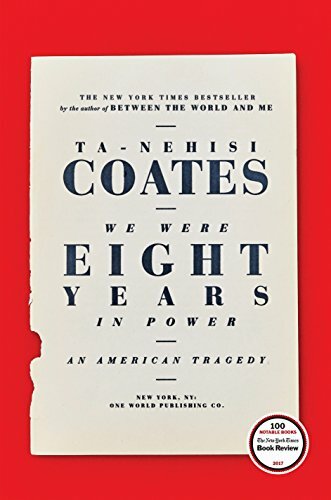 At the May 15 meeting, the group will begin discussing WE WERE EIGHT YEARS IN POWER: AN AMERICAN TRAGEDY, a collection of essays by Ta-Nehisi Coates, originally published in ATLANTIC Magazine. Participants should borrow or buy their own books.